Mol v1.2 Is Now Available! It's finally here! After several months of intense development Mol Chemistry 1.2 is now ready for you to download. We've listened and packed in a lot of great new features and improvements to make this our biggest update yet. Read on to learn more. We've included not one, but two new exercises: R vs S and Stereoisomers. These were some of the most requested pieces of stereochemistry content and we believe these will level up your knowledge, and help you master stereochemistry. Evaluate chiral centers to determine the absolute configuration. 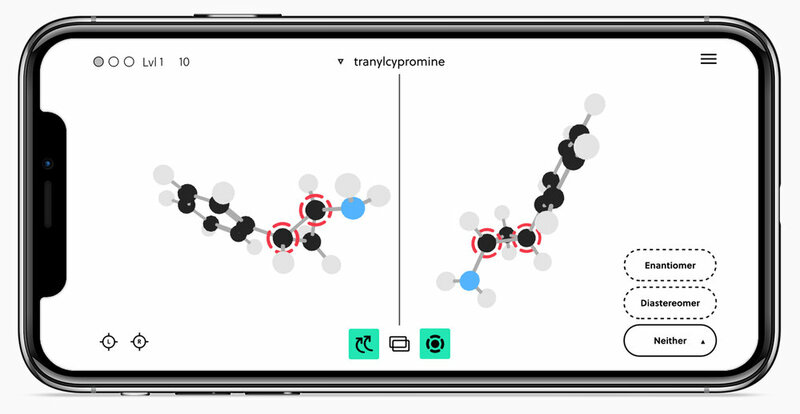 Compare molecules to determine the correct stereoisomer. We've worked with skilled designers and artists to give you a great user experience. The user interface (UI) has been completely overhauled with a fresh new visual design for greater flexibility and improved usability. We've also created a brand new visual language and dynamic animations for our molecular visualization. The way we handle presentation of additional chemistry information within the exercises has been overhauled too, so if you get stuck help is only a press away. While we work tireless to catch and squash every bug, sometimes a couple do evade us. We've fixed a few nagging issues you've found to give you a more polished experience. We've also updated our roadmap to include more information on our summer 2018 development plan and enabled voting so you can let us know which features you'd love to see next. 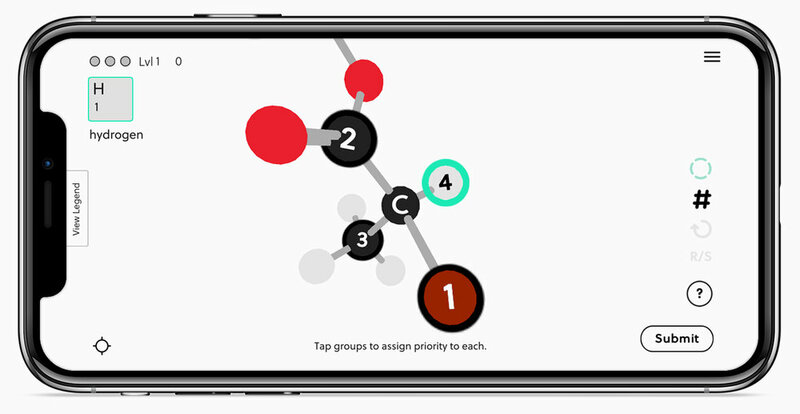 Finally, don't forget to check out the community so you can help us make Mol the best resource for mastering stereochemistry. Copyright © 2019 Substrate Games, LLC. All rights reserved. Work marks and logo marks are trademarks of their respective owners.